View cart “THE ROSARY, Chain of Hope by Fr. Benedict Groeschel, C.F.R.” has been added to your cart. 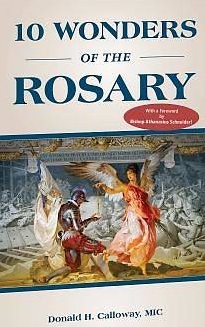 In this easy-to-read introduction to the wondrous power of the holy Rosary, internationally acclaimed Mariologist and speaker, Fr. 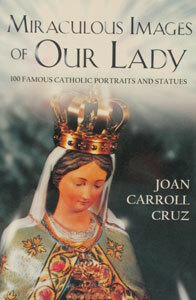 Donald H. Calloway, MIC, shares some of the greatest triumphs and miracles attributed to Our Lady’s favorite devotion. Journey with Father Calloway from the forests of France where St. Dominic was first given the Rosary; to the seas where the Battle of Lepanto was fought; from the battlefield of the hearts of lapsed Catholic like Bartolo Longo to the minds of Albigensian heretics. This little book will inspire you to take up and spread this most powerful devotion. Paper. 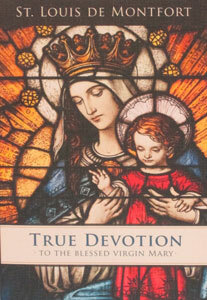 TRUE DEVOTION TO THE BLESSED VIRGIN by St. Louis de Montfort. MIRACULOUS IMAGES OF OUR LADY by Joan Carroll Cruz. 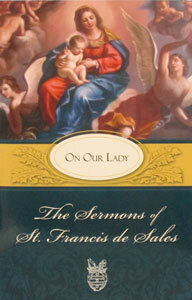 THE SERMONS OF ST. FRANCIS DE SALES ON OUR LADY edited by Lewis S. Fiorelli, O.S.F.S. 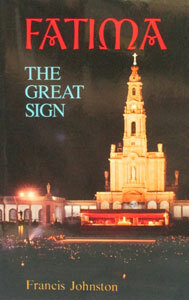 FATIMA, THE GREAT SIGN by Francis Johnston.